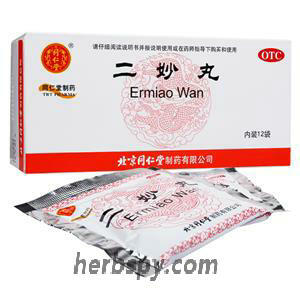 For downward flow of damp-heat,leukorrhagia,scrotum itcheswet. Mainly used for the treatment of urinary tract infections, uterine bleeding, excessive vaginal discharge, digestive diseases (oral ulcers, stomach pains, enteritis, dysentery, hepatitis), sciatica, eczema, etc. Clearing away heat and drying dampness. Stir-fried Atractylodes Rhizome, Stir-fried Amur Cork-tree. This product is yellow-brown water pill; it is slightly fragrant and bitter. For oral use after meals,6-9g twice daily or by medical ordor. 1.Avoid alcohol and tobacco and spicy,greasy food during taking this product. 2.Patients with diabetes,high blood pressure, heart diseases, liver disease, kidney disease and other severe chronic diseases shall take medicine under guidance of physician. 3.In accordance with the usage and dosage, children,women,lactation women, elderly ,feeble and weak patients should be taken under the guidance of physician. 4. During the medication, if a topical rash is required to use a topical medication, consult a specialist. 5.Severe itch,should go to the hospital. 6.Seven days without any remission,should go to hospital. 7.Hypersensitivity to this product should stop using，allergic constitution with caution. 8.Do not use this product if the property changed. 9.Children should take under the supervision of adult. 10.Keep out of reach of children. 11.If you are using other drugs, please consult your doctor before using this product. 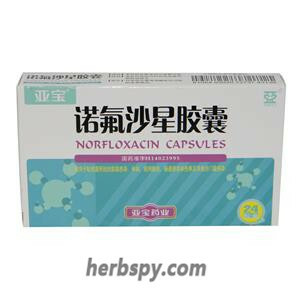 Mainly have the function of calming, relieving phlegm, inhibiting gastrointestinal motility, antipyretic, anti-ulcer, antibacterial and so on. Stage Food and Drug Administration Approval number:Z11020566.